In Microsoft Office, you can add objects and media such as tables, pictures, symbols, and more to your document. 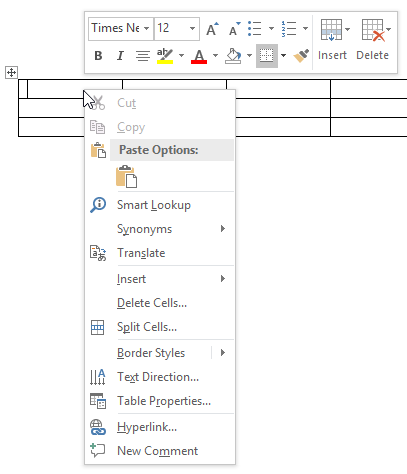 This article shows Word, but most of these functions work in Word, PowerPoint, Excel, Publisher, and OneNote. 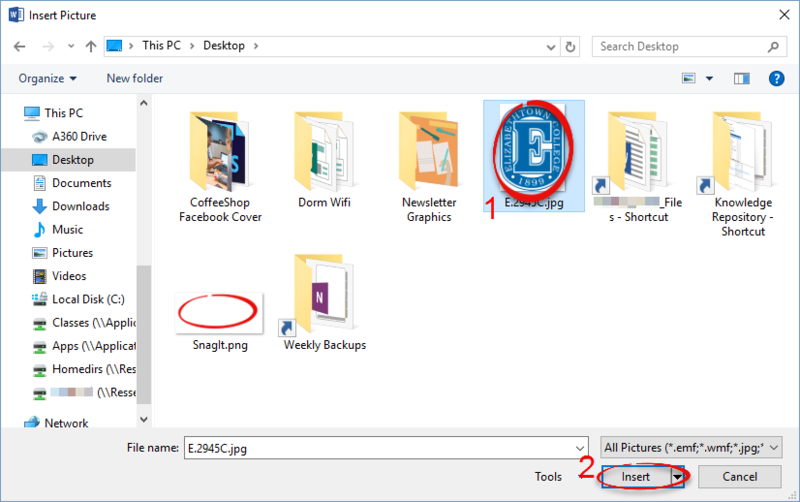 To insert an image from your computer:Step 1:Click on the Insert tab, then click Pictures. 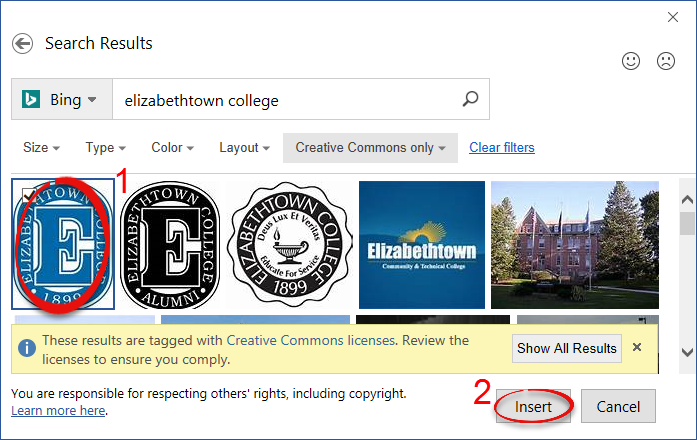 Step 2:Select a picture to upload and click Open. To insert an image from the Internet:Step 1:Click Insert, then Online Pictures. Step 2:Type what you're looking for into the search bar and press [Enter]. Step 3:Select the image you would like to use and click Insert. Make sure that you cite all images that you receive from the internet in order to avoid copyright infringement. Click on the Symbols button under the Insert tab. 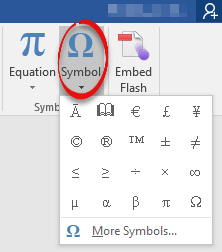 Double-click on the symbol that you would like to use to insert it into the document. 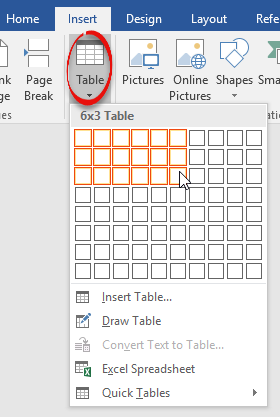 To draw a table:Step 1:Click the Table button under the Insert tab. Decide which dimensions you wish to use. You will be given an 'N' x 'N' dimension. The number on the left corresponds to number of columns, while the number on the right corresponds to number of rows. Once you've chosen your desired dimensions, click to draw the table. Formatting Your Table:Once you've created a table, a Table Tools tab will automatically pop up, whenever you click inside the table. This tab has two sub-tabs: Design and Layout. A. Table Style Options: Customize how you want your table to be organized. B. Table Styles: Choose the style and color of your table. Click the arrow in the bottom right to expand more options. 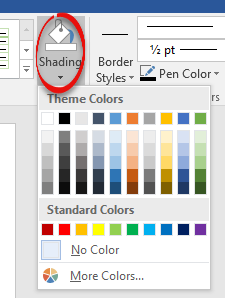 C. Shading: Click Cell Shading to change the color of individual cells. 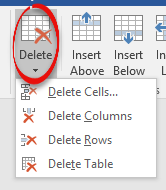 A. Delete: Delete rows or columns or delete the entire table. B. Insert: Insert rows above or below a selected row, or insert columns to the left or to the right of a selected column. C. Alignment: Align the text within the cells to the left, right, or center of the cell. Many of the of the Design and Layout actions can be completed by right-clicking anywhere on the table. or follow these steps:Step 1:Type in a word or a phrase. Step 2:Highlight the word or phrase. Step 3:Click the Hyperlink button. 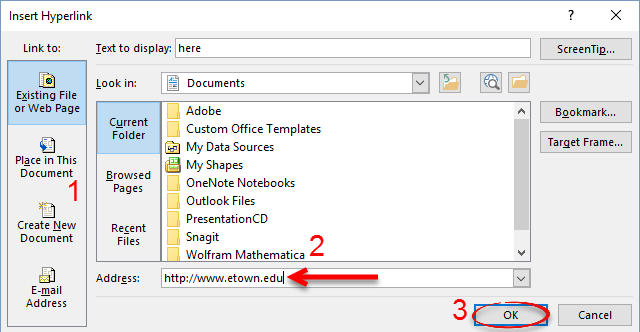 Step 4:Decide where you would like to link to, then type the address or select the document that you want to link to. Click OK.
To add a header or a footer:Step 1:Click the Header or Footer button. 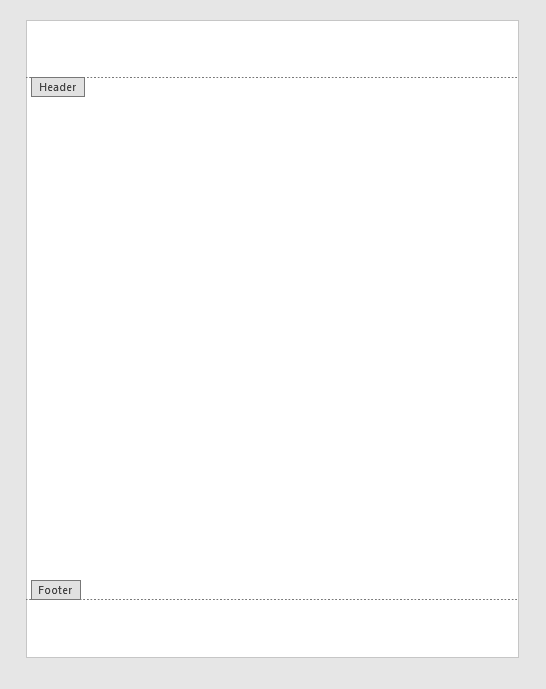 Step 2:Type a header and/or a footer. To add page numbers:Step 1:Click the Page Number button. 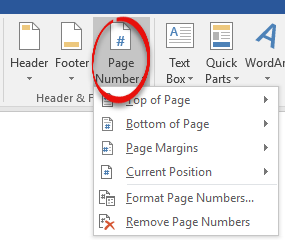 Decide where you want the page numbers to be located on your document. To add a footnote:Step 1:Type something that needs a footnote. Click the References tab, then click Insert Footnote. To add an endnote, follow the same exact process, except click Insert Endnote instead of Insert Footnote. Click wherever you would like to place a comment, then click Comment under the Insert tab. Step 2: Type your comment and click anywhere outside the box to save it.